You love exercise and staying fit even when you’re on the go. It feels great to take a morning jog along the beach, or to look out upon the world from a high mountain trail. It would feel great for your dog to be there along for the journey as well, but you’re put off by the logistics of planning a trip with your favorite pooch. Can you really juggle caring for your dog and fitness at the same time? The answer is yes. Here are four tips for bringing your dog on your next vacation adventure. Not all vacation spots are perfect for your pooch. When planning your next vacation, you should consider what kind of environment is best suited for your dog. Any trip that involves hitting the trails, beach or lake is a trip your dog will be happy to tag along. Of course, not all dogs are alike. If your dog is anxious around a lot of people or other animals, then you might not want to take them to a big city on the coast. Similarly, if your dog can’t swim very well, you wouldn’t want to plan a trip to the lake with a large portion of your time being on the water. Traveling with your pet often means putting them in situations they have never encountered before. The best way to figure out how your dog will fare on an extended car trip, or how they might act in a crowded public space is to actually experience these things in real life. Before you solidify your plans, take your dog on a test run. Drive around with them in your car and see how they handle it. A test run will help you appropriately prepare for your big vacation trip. The first step to having a great time on vacation is getting there safely. When traveling to the vet, you might be okay with keeping your dog in the backseat, but even on a short trip this method of transportation can be dangerous. You need to make sure that your pooch is properly secured whenever in your vehicle to prevent serious injury in the case of a crash. Fortunately, there a plenty of straps, harnesses, and containers specifically made for keeping your dog safe on the road. 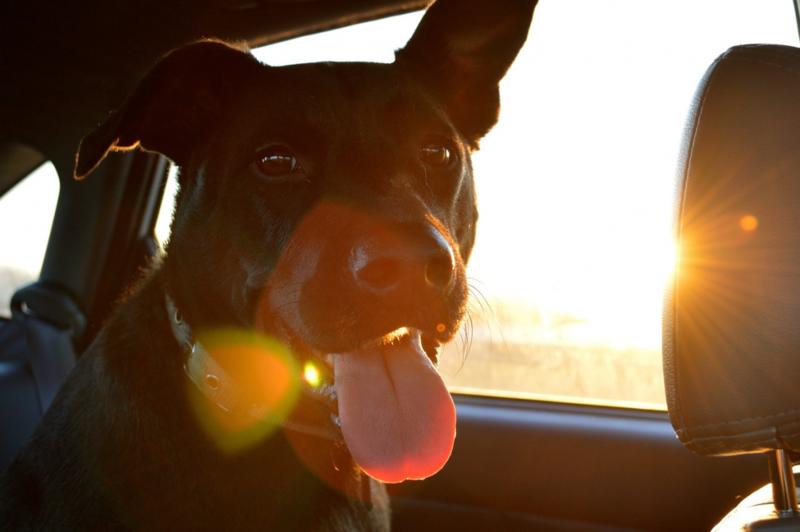 Being conscious about your dog’s safety shouldn’t end once you arrive to your destination. When you’re in the middle of a workout it can be difficult to tell whether or not your dog is safe. The best way to ensure their safety is to be proactive. Make sure their leash and harness are fastened, secured. Your dog will also get just as thirsty as you after a run, so make sure you pack plenty of water and a collapsible dog bowl along to keep you and your dog hydrated. Also, when running alongside roads or trails, you need to keep a close eye on your dog and surroundings. Your dog may be good at staying out of the way, but you can’t always count on other cars and joggers to be on the lookout as well. Bringing your dog along to your next vacation is a lot easier than you think. If you love your dog as much as you love traveling and being active, then you should experience all three at the same time, at least once. With a little preparation and keeping an eye toward safety, both you and your dog can enjoy sweating it out in the outdoors, together.